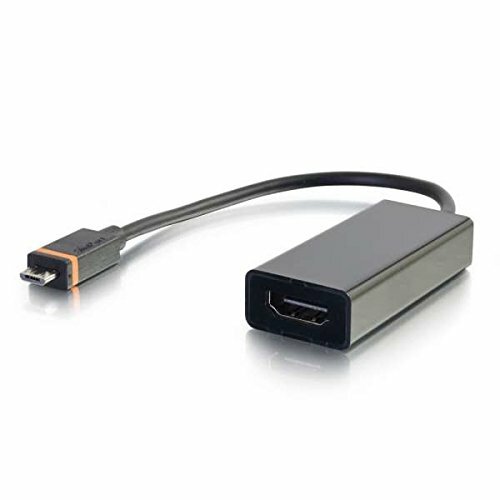 The Mobile Device USB Micro-B to HDMI Display SlimPort Adapter Cable is the perfect solution for connecting the USB Micro-B port of a SlimPort enabled tablet, smartphone or other mobile device to the HDMI port on a display. This adapter will support up to a 1080p resolution with up to 7.1 channel digital audio depending upon the capabilities of the mobile device and the display. This adapter will allow high definition movies, photos, games, the Internet browser and other content from the mobile device to be shown on the connected display. This adapter will allow hi def movies, photos, games, and other content from the mobile device to be shown on the connected display. If you have any questions about this product by C2G/Cables To Go, contact us by completing and submitting the form below. If you are looking for a specif part number, please include it with your message.